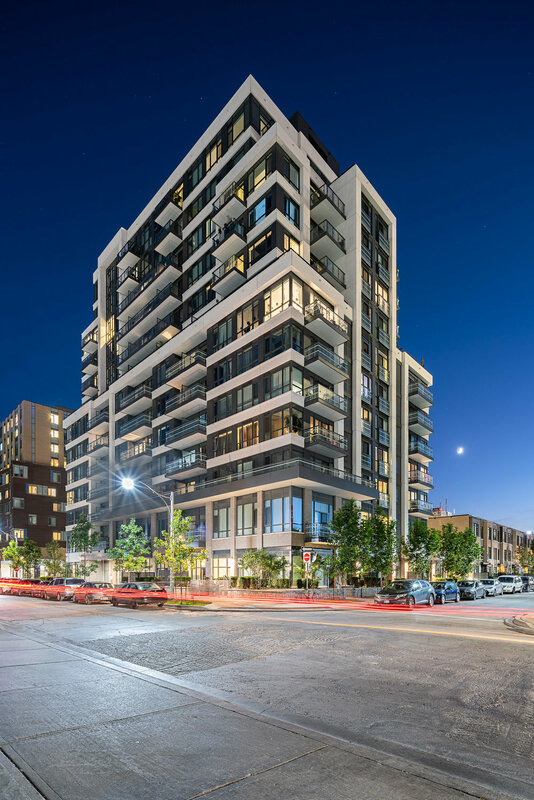 Earlier this fall, Quadrangle Architects commissioned me to photograph The Bartholomew, a condominium community which is part of the Regent Park Revitalization Project. It was important to capture the tower itself, which shows very differently during the day and at dusk. The courtyard surrounded by the townhouses is maybe the main feature of the building. 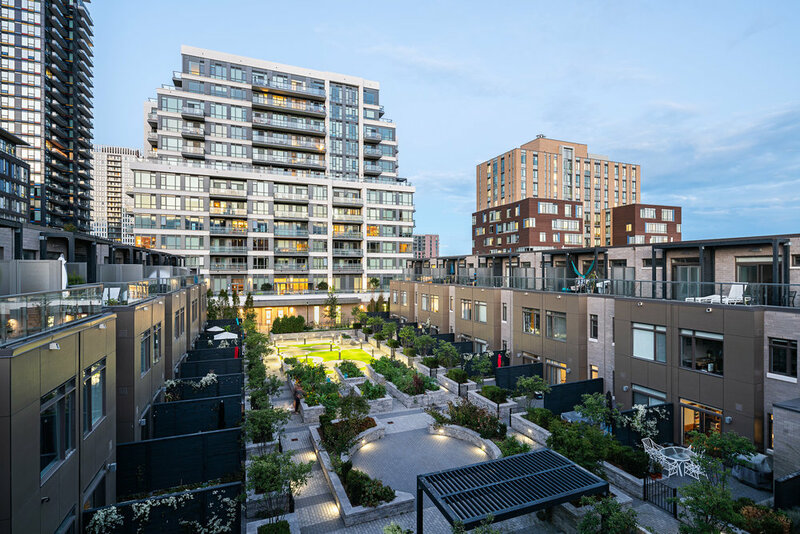 Getting access to one of the residents’ rooftop patio was key to get the shot (as is often the case on photoshoot in the city)!